Schmidt is "substantially less culpable" than numerous senior-level VW executives, his lawyer said. DETROIT -- Volkswagen Group executive Oliver Schmidt will be sentenced in federal court in Detroit on Wednesday for his part in a diesel emissions scandal that has cost the automaker as much as $30 billion. Under a plea agreement, Schmidt, a German national, will face up to seven years in prison and a fine between $40,000 and $400,000 after admitting to conspiring to mislead U.S regulators and violating clean-air laws. He pleaded guilty to those charges in August. In a sentencing memorandum submitted to U.S. District Judge Sean Cox, U.S. prosecutors argued Schmidt should be sentenced to the full seven years in prison. "The defendant had a leadership role within VW, and as a consequence of that role, was literally 'in the room' for important decisions during the height of the criminal scheme, including when decisions were made to continue to hide the fraud from U.S. regulators and the U.S. public," prosecutors argued. Schmidt’s attorney, David DuMouchel, asked that the judge impose a sentence of no more than 40 months and a $100,000 fine in line with his client's "limited role" in the scheme. Schmidt is "substantially less culpable than... the numerous senior-level VW executives (most of whom will never appear in a U.S. courthouse) who initiated, designed, implemented, and refined the defeat device over nine years before Mr. Schmidt became involved,” DuMouchel wrote. In March, VW pleaded guilty to three felony counts under a plea agreement to resolve U.S. charges that it installed secret software in vehicles in order to elude emissions tests. U.S. prosecutors have charged eight current and former VW executives so far. Earlier this year, Schmidt was charged with 11 felony counts and federal prosecutors said he could have faced a maximum of up to 169 years in prison. As part of his guilty plea, prosecutors agreed to drop most of the counts and Schmidt consented to be deported at the end of his prison sentence. 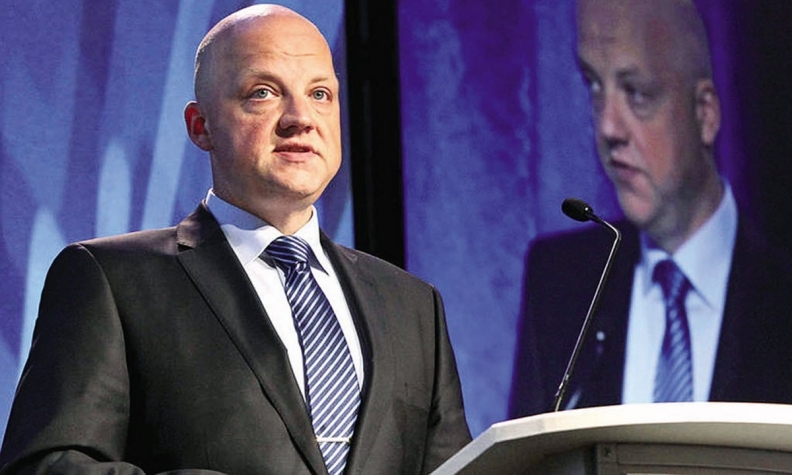 After being informed of the existence of the emissions software in the summer of 2015, according to his guilty plea, Schmidt conspired with other executives to avoid disclosing "intentional cheating" by the automaker in a bid to seek regulatory approval for its model 2016 VW 2.0-liter diesels. In a letter to Cox originally published by Germany's Bild am Sonntag newspaper on the weekend, Schmidt said he had agreed to follow a script, or talking points, agreed on by VW management and a high-ranking lawyer at a meeting with a California Air Resources Board executive. "I must say that I feel misused by my own company in the diesel scandal or 'Dieselgate,'" Schmidt wrote.